A riotously funny, emotionally raw New York Times bestselling novel about love, marriage, divorce, family, and the ties that bind—whether we like it or not. 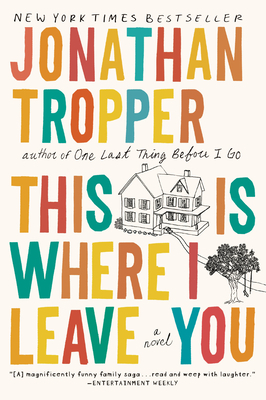 Jonathan Tropper is the New York Times bestselling author of One Last Thing Before I Go, How to Talk to a Widower, Everything Changes, The Book of Joe, and Plan B. He lives with his family in Westchester, New York, where he teaches writing at Manhattanville College. He adapted This Is Where I Leave You as a feature film for Warner Brothers Studios was a screenwriter, co-creator, and executive producer of the HBO/Cinemax television show Banshee (produced by Alan Ball).